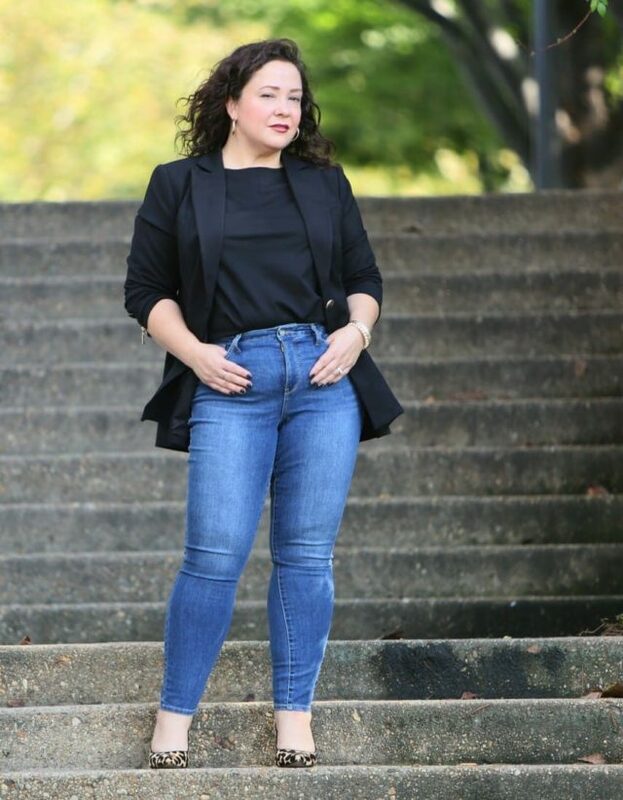 Chico’s teamed up with NYDJ to produce an exclusive collection of their flattering denim and I was so excited to get a chance to try it out. Y'all know I love Chico's, and I've been wearing NYDJ for years so this collaboration was right up my alley. 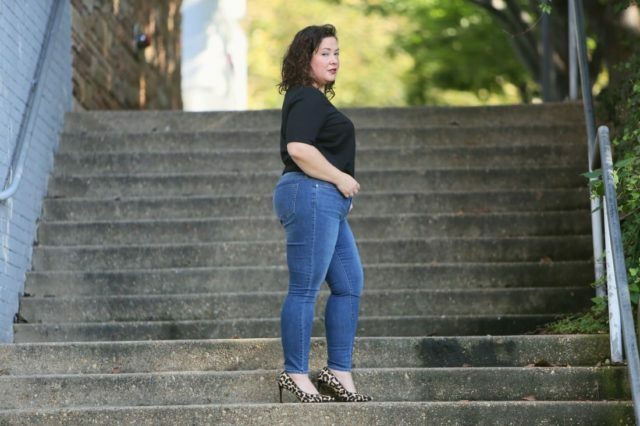 Chico's invited me to pick a pair before they were even on the website and based off the product sheet I felt I'd like the Cool Control Skinny Ankle Jeans and felt they'd be a style I'd wear all fall and winter long. I went with my regular size in NYDJ (note this exclusive collection is in street sizing, not Chico's unique sizing). I don't often wear jeans described as “skinny” because I have solid legs and they usually look painted on and are too tight below the knee to even get on. And yep, these are very slim but they're uber comfortable. Like, these will be the jeans I'm rocking with my boots and slouchy sweaters this weekend. 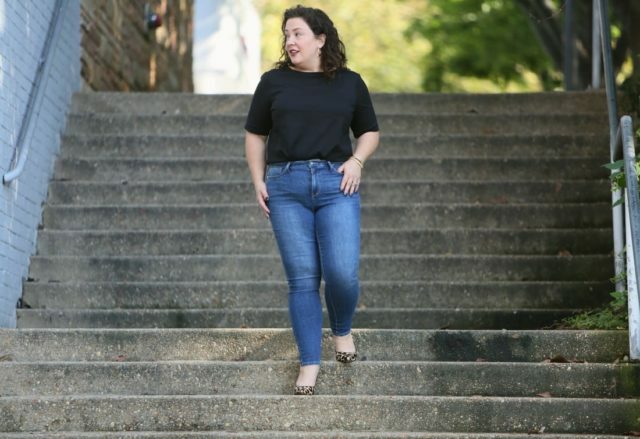 Something I didn't realize about these jeans until I received them is they're made with Coolmax® technology so they pull away moisture to keep you cool. 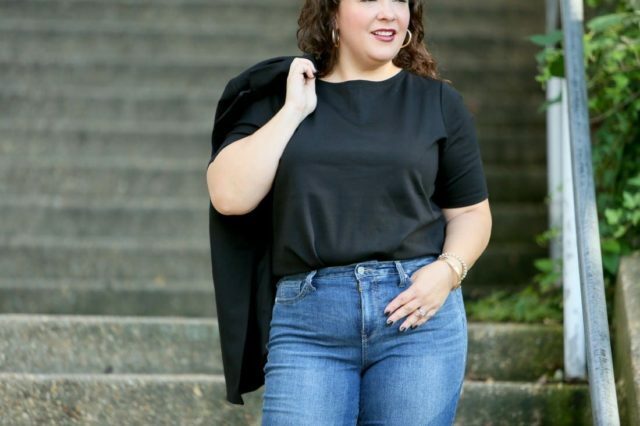 This is not a sponsored post; they sent me the jeans to showcase on Instagram but I was excited enough about this collab to also share on the blog. Click here to see the entire NYDJ for Chico's collection! Very excited for this partnership. Do you know if a) there will be petite sizing on this collection and b) if it will be available in stores nation wide or primarily online? thanks!!! I don’t think there’s petite… yet. We’ll see how it goes. And the collection is primarily online. I. AM. HERE. FOR. THIS! Wow. You look amazing in these jeans, so I’m thinking maybe I can wear them too! I love this outfit! It simple, chic and fits you perfectly. This outfit looks positively stunning! I am a huge fan of NYDJ as well & these fit you beautifully. Really proud of you for taking the leap & of course, I am thoroughly enjoying your posts!